More than 50 animals on 28 farms have died in the Haute-Alpes department since June in the worst outbreak of anthrax in France for nearly 20 years as veterinarians and local health authorities face a summer holiday vaccine shortage. The first cases were reported on a farm in Montgardin, about 15km east of the department's capital, Gap, where six cows were reported dead on June 28. In the two months that have followed, the disease has spread to 13 communes and authorities have identified 23 individual outbreaks involving cattle, sheep and horses. When an outbreak is confirmed, the prefecture "prescribes vaccination of all animals concerned," a local official said in a statement. But the laboratory in Spain that produces the vaccines has been closed since August 1 for the summer holidays, leaving vets and authorities scrambling to find effective treatment. "The State has begun discussions with its European partners to discuss the availability and purchase of vaccines," Agnès Chavanon, secretary general of the Hautes-Alpes prefecture, said. Animals on affected farms are banned from travel to abattoirs or other farms for a period of at least 21 days to allow immunity levels to develop and for 'cleaning and disinfection operations' to be carried out. Milk from cows on infected farms is pasteurised and destroyed. Anthrax spores can remain inert in soil for decades. Cases of transmission to humans are "extremely rare and no human cases have been observed to date", Dr Christine Ortmans, head of the health monitoring and safety service at the Regional Health Agency (ARS), said. A total 103 people - including abattoir staff, farmers and vets - described as 'potentially in contact' with the disease have been identified, and are being monitored. Tests on the water in affected municipalities returned safe results. Just over 100 cases of anthrax have been registered at French farms since 1999, usually during hot summers after periods of heavy rain. 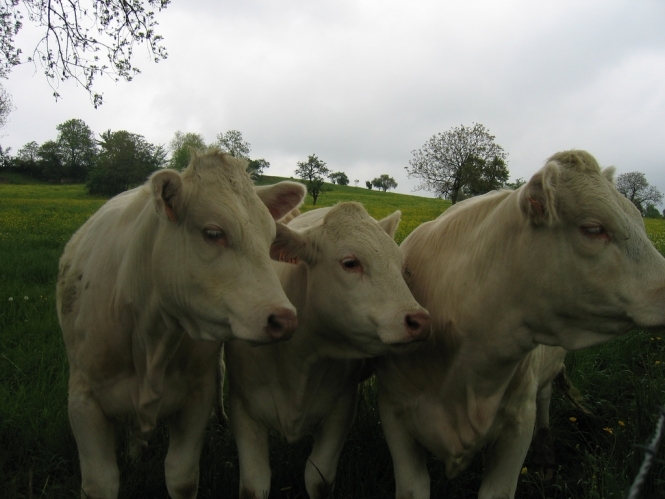 The last serious French outbreak was in 2008 when anthrax spread to 23 farms, mostly in the eastern Doubs area.